We didn't confuse it with the French Bulldog! 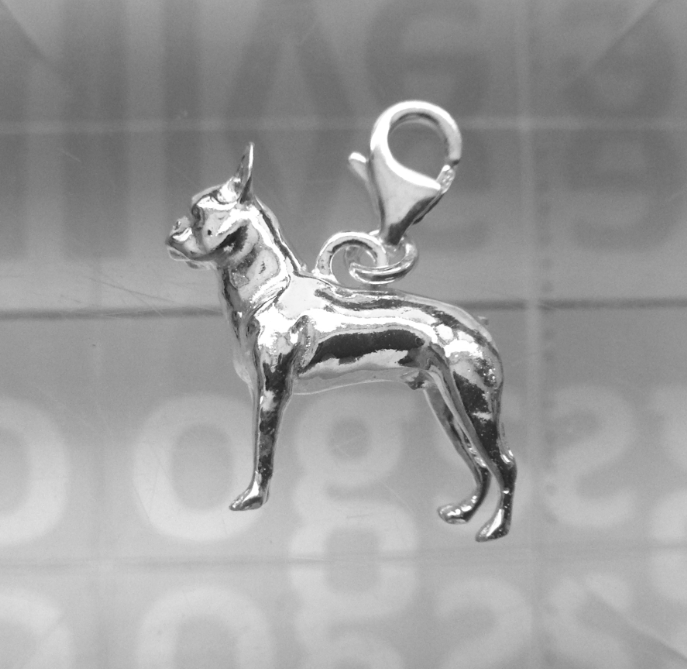 Our Boston Terrier bracelet charm is a beautiful piece, made of 925 Sterling Silver. 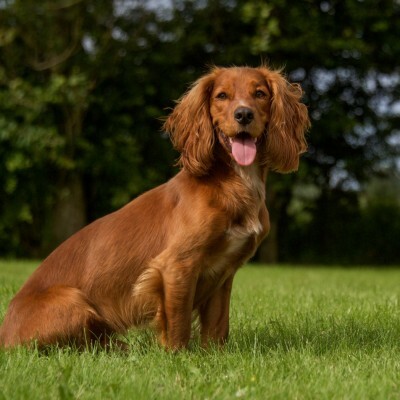 The quality is assured because it's made in the UK. 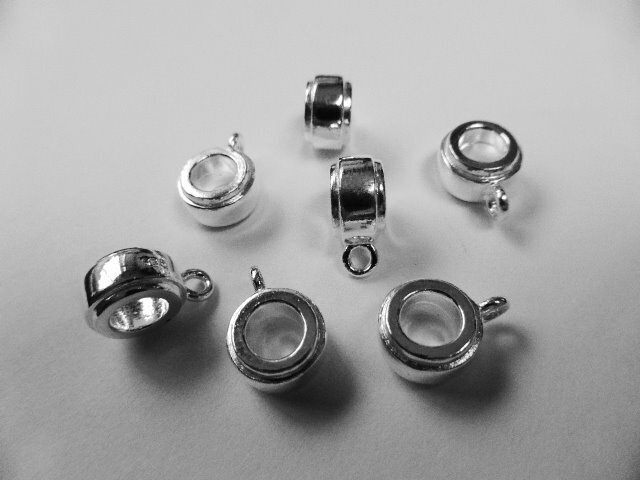 Hand polished and finished by expert silversmiths, it is truly stunning. 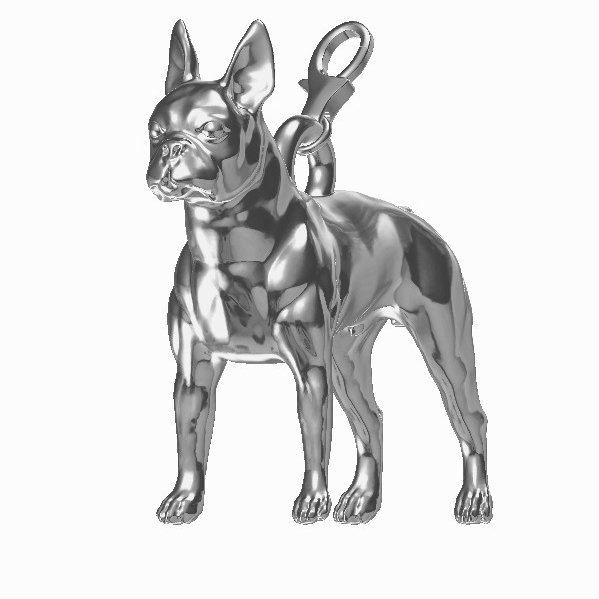 This little Boston Terrier charm is 3D capturing the shape perfectly. It's not hollow or flat at the back, and it stands unaided on a table top. You can see the detail from every angle. We created this cute Boston Terrier charm in Autumn 2012. 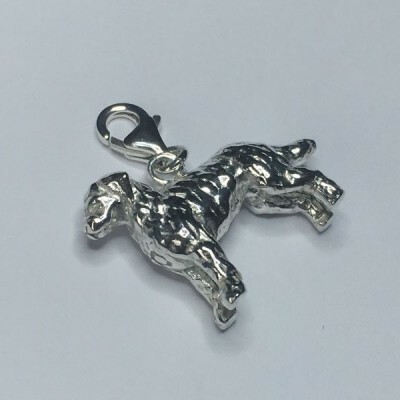 It was our 4th addition to our silver dog charm range. 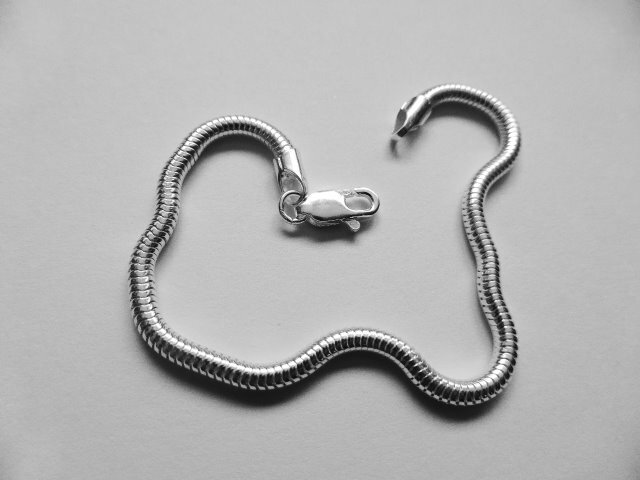 We took great care in the design process to make sure it's the best Boston charm available. Delivery: It will be sent out the same day if ordered before 4pm otherwise it will always be next day where possible.